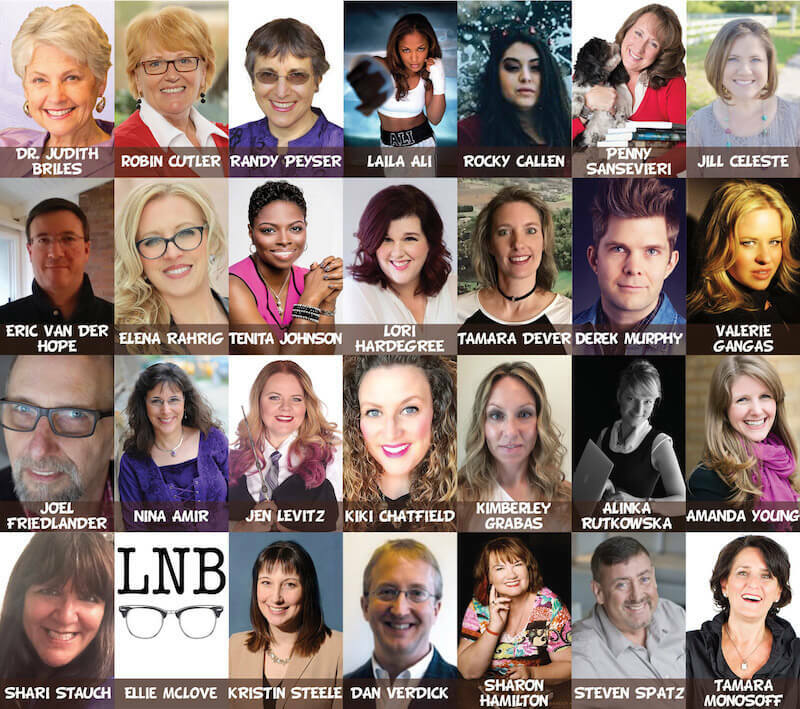 Live from May 8-19, you can view FREE video interviews with a whopping 28 publishing professionals in the Author’s Adventure Summit! WWW’s Shari Stauch is participating in this event so we’re especially excited to share it with you! 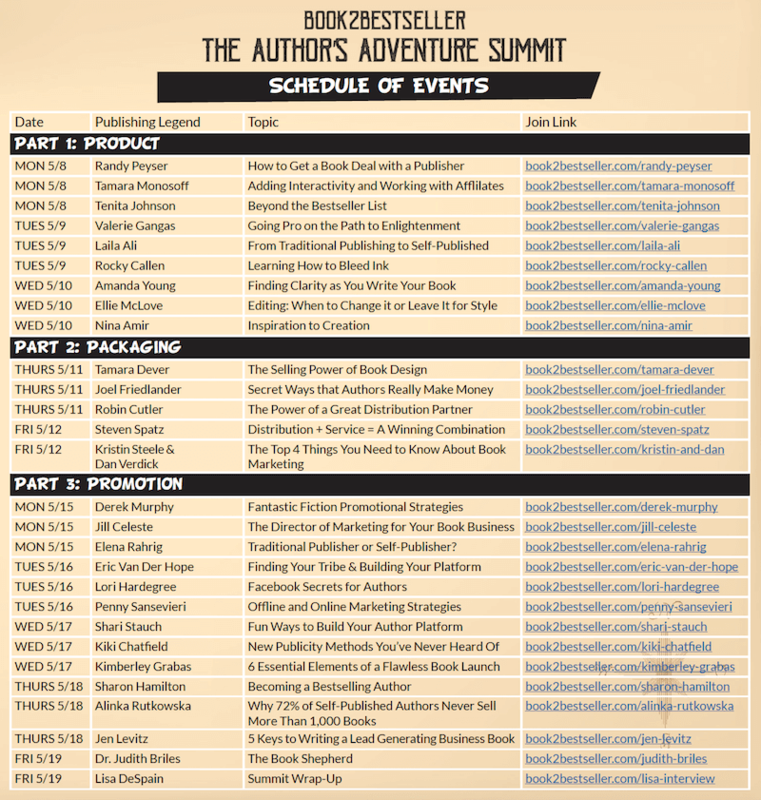 The Author’s Adventure Summit is a free virtual summit where 28 publishing legends are revealing their top secret strategies for launching a book to bestseller (and beyond)! Publishing experts, internet marketing specialists, and seasoned authors who know how to apply the latest strategies to produce, package, and promote your book will all be featured. Below you’ll find a full schedule of speakers and talk topics. Click on the image for a linked and downloadable pdf and enjoy these 28 free lessons to put you on the “write track” for your project. And our personal thanks to Lisa DeSpain for organizing this free event for authors everywhere! Shari, Your interview today with Lisa DeSpain at the summit was captivating. Thank you for sharing your knowledge and innovative ideas.